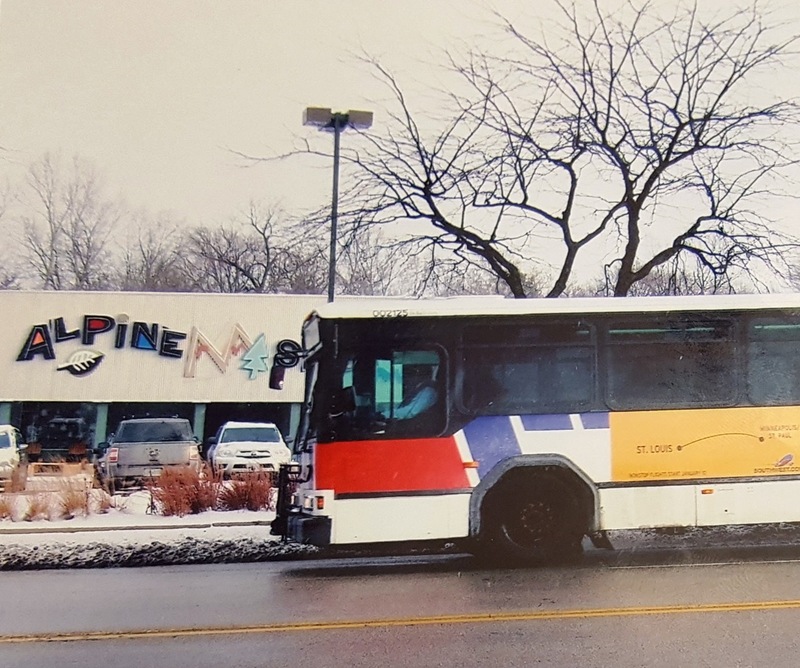 This photo shows a MetroBus on Kirkwood Road in 2010. The Alpine Shop opened its doors in 1973 as a small climbing shop in Webster Groves and now serves almost every type of outdoor enthusiast. 2010. SWA added Minneapolis in late 2008 with first flights from Midway in 2009. Since we do everything after it happens in Chicago, I’m saying 2010. Location: Alpine Shop in Kirkwood on Kirkwood (Lindbergh) road.